Last week I decided to try the new DRM-free music download service from Amazon.com. It worked better than I expected, integrating nicely with iTunes on my Mac at prices that were really great. Click on that Amazon link above to check it out and I’ll get a commission if you buy something. Everybody wins! I lucked out last week, scheduling a technology visit to HSRA Los Angeles during bluebird weather in Southern California. Minnesota, meanwhile, dove into the deep freeze (sorry family). On the day I came back, it was 65 degrees on the beach and -15 when I left the Wild-Ducks hockey game that evening. It was a productive trip for me, configuring several Windows machines (not fun), installing two new security cameras, running workstation upgrades and finally fixing a spell-check problem that has been an issue since the start of school. I also have a plan for dealing with the data-loss issues associated with running portable home directories on Mac OS X Server. Just waiting for a good time to flip that switch. The good weather was combined with unusually smog-free views that let us view Malibu across the bay and snow on the mountains to the east. I tried to bike or walk along the beach almost every day and found a nice housing development a block away that would be perfect if I ever hit the lottery. 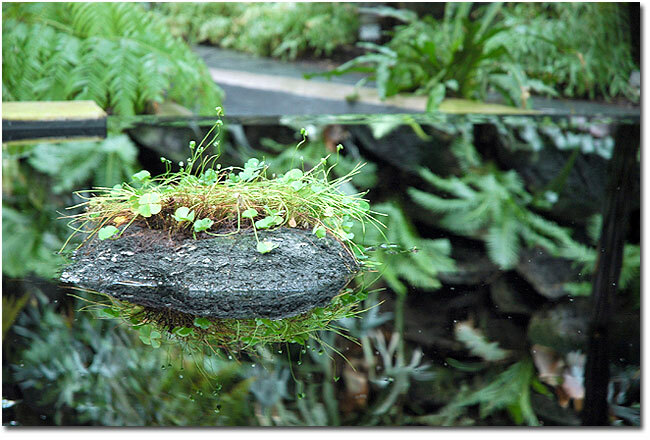 Only $1.5-2.1 million, according to Zillow). Lots of new food places this time: Roscoe’s Chicken and Waffles in Long Beach, the Union Cattle Company in Hermosa Beach (great steak), Hennessey’s Tavern in Hermosa Beach, Mickie Finnz Fish House in Redondo Beach (also owned by Hennessey’s) and Chicago for Ribs in Redondo Beach. No In-N-Out Burger this time–a first! Yesterday was my 39th birthday and I’m feelin’ fine. I really appreciate all the well wishes, cards and gifts from near and far. 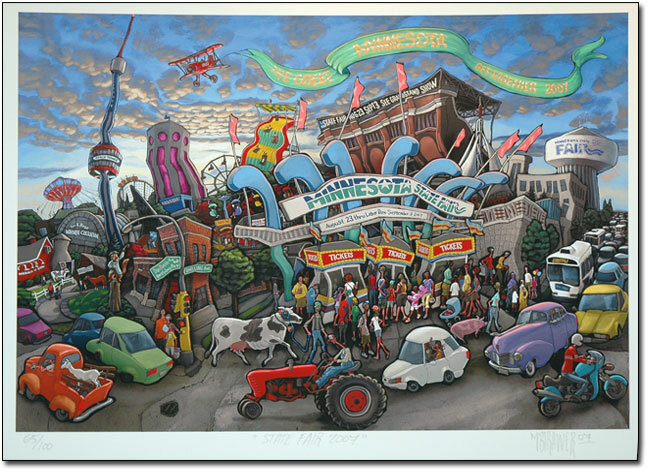 My family got me a signed, limited-edition Michael Birawer print of the 2007 Minnesota State Fair (see above) and I also received several new Wii games, DVDs and golf balls. The day was laid back–it started by taking my oldest to an inventors fair at the local high school. We had lunch at a newer place in Mendota called Lucky’s 13 Pub, which had great atmosphere, but not so great food. After a long nap on the couch, we met my sister and parents for dinner at Tavern on Grand. At Sun Country, we understand the importance of customer service. It’s why we fly out of the convenient Humphrey Terminal in Minneapolis, why we fly to the destinations you want to go to (31 of them, to be exact), and why our employees treat every passenger with a level of service uncommon in the airline industry. It’s also why I’d like to upgrade you to first class on your upcoming flight from Minneapolis/St. Paul to Los Angeles on 1-12-08 as well as your return flight on 1-18-08. As one of our most valued Ufly Rewards members, we’ve noticed how often you fly Sun Country and would like to thank you for making us a part of your travel plans. We recognize your importance and look forward to continuing to serve you in the future. Feel free to contact our Ufly Rewards Service Center at 1-866-609-8359 with any questions you might have about your upgrade. I’d also like to invite you to send me an email at tpetters@suncountry.com with your suggestions, comments or ideas about how Sun Country can better suit your needs as a traveler. Again, thank you for making Sun Country a part of your travel plans. I hope you enjoy your experience on your upcoming flight. Not a huge deal, but the iPhone update was instant gratification and has some useful features (with innovative interfaces too). Time Capsule seems nice (and priced competitively), but I’m still waiting for the original wireless backup feature shown at WWDC 07. Happy to get a free Apple TV update, but the movie rental terms, selection and pricing aren’t going to get me to cancel Netflix anytime soon. Mac Book Air: style and elegance that everyone will drool over, despite the trade-offs (more below). I really love the look of the new MBA. Sony has owned the ultra-small laptop market for years, providing strong designs and charging a premium. The Mac Book Air has style in spades and I was actually surprised at the relatively low price (the base model is capable out of the box without any extra upgrades). Sony gets burned by Apple again. There are some obvious trade-offs that Apple had to make with the Mac Book Air, but overall I think they chose well. Personally I’d miss the Firewire port the most, as I seem to be using Firewire hard drives all the time for backup. The Remote Disc feature has been available before, but it appears this has been implemented in typical Apple fashion and will help get around the loss of the optical drive. No security cable lock? Methinks these will disappear into thin air (couldn’t resist). The solid state drive at a cool grand is actually market competitive for this technology, and I’d love to see some performance numbers that compare the two options. Slightly disappointing to see the processor speed drop so much compared to the other laptop lines, but the chip did have to shrink in size substantially. I also hate integrated graphics, but hey, it’s three freakin’ pounds.